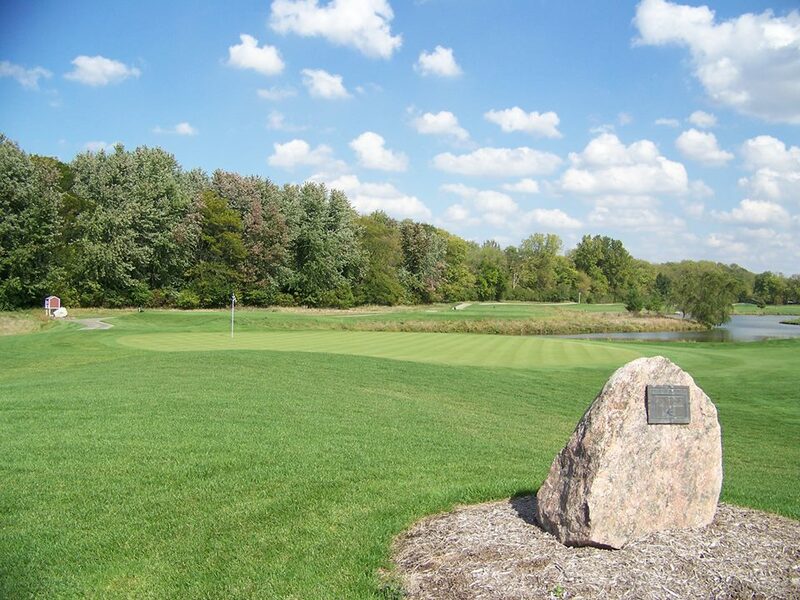 ​Welcome to Buffer Park Golf Course, Indy's number one option for an enjoyable round of golf. Buffer Park is located just minutes from both Downtown Indy, and the Indianapolis International Airport. Buffer Park Golf Course is an incredibly well maintained Championship Style 9-Hole Golf Course. In addition, Buffer Park offers a beautiful clubhouse facility equipped with a Pro Shop, Snack Bar, and large meeting room that is available to be rented for receptions and meetings (See Banquet Room). Our course has been popular since it first debuted to the public in 1999. Buffer Park Golf Course is an affiliate of South Side Landfill, Inc., which developed Buffer Park in an ongoing effort to be a positive and responsible corporate citizen. Buffer Park is a spacious and skillfully designed 9-Hole golf course, nestled in a peaceful parkland setting. The trademark of Buffer Park Golf Course is the exceptional course condition from tee to green. This ideal combination makes Buffer Park a one of a kind golf experience for everyone that appreciates this great game. With four separate teeing areas on each hole, Buffer Park is a "friendly" golf course to the beginning golfer, and still a fair challenge for even the most experienced player. The icing on the cake is that you can normally play nine holes in under two hours. Finally, don't forget to stop in the clubhouse and say hello. We very much look forward to meeting you! ​The real star of the show at Buffer Park Golf Course is the high quality of the 9-hole golf design. We feature 9 holes of fun, breezy golf that's perfect for learning this classic game or sharpening your already great skill set. Our course plays fast, and many golfers enjoy squeezing in a round with us. Our course is a real shotmakers course with a risk versus reward design. This is truly a must-play Indianapolis golf course.